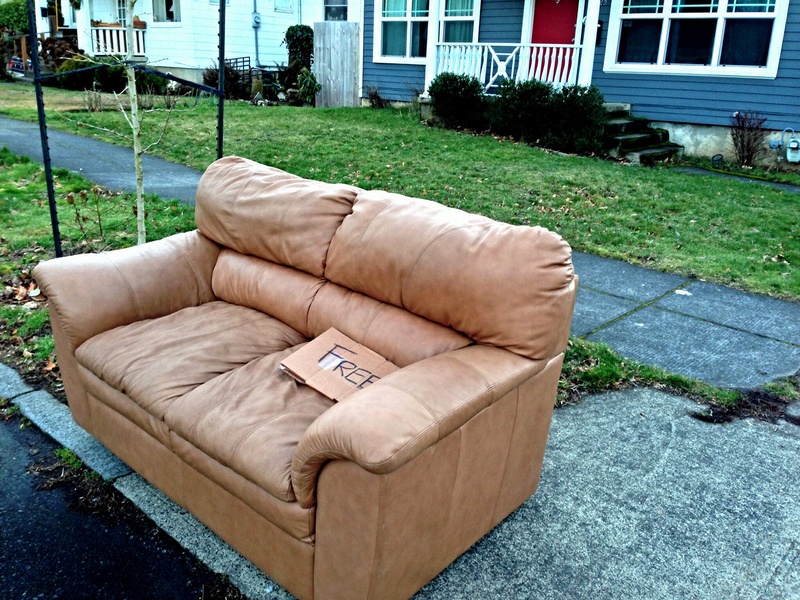 In case you were concerned about asking for the price of this couch, the previous owner placed a sign conscientiously on the front. 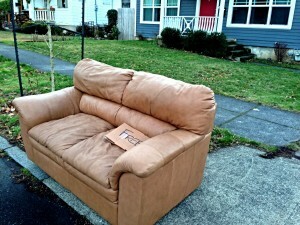 This couch was so close to my work that I briefly considered tying it to the back of my scooter and dragging it in. Are the bed bugs also complimentary? Maybe the couch is FREE of beg bugs?